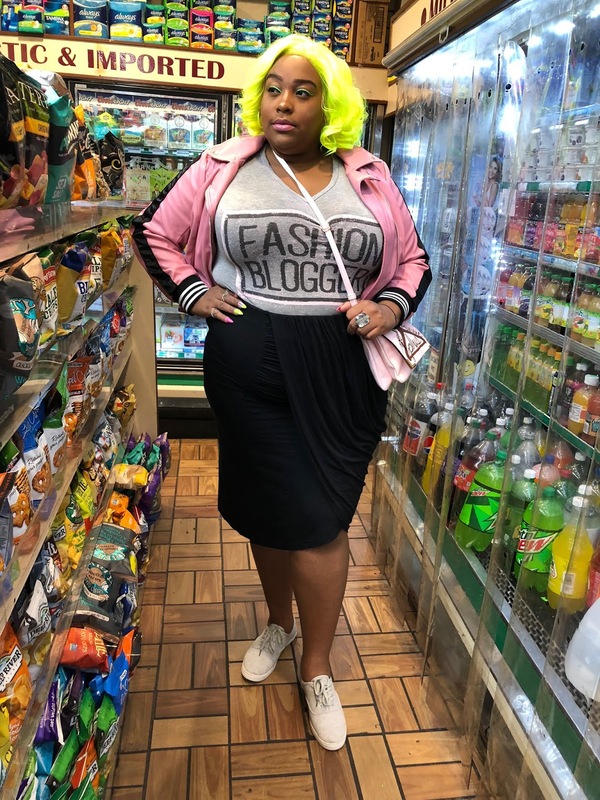 It’s another week on the blog, and this time around we are talking all about CurvyCon 2018!!! CurvyCon is an event that I look forward to every year, and this year was no different. There was a different venue, more shopping, workshops, and so many new things to do and see. 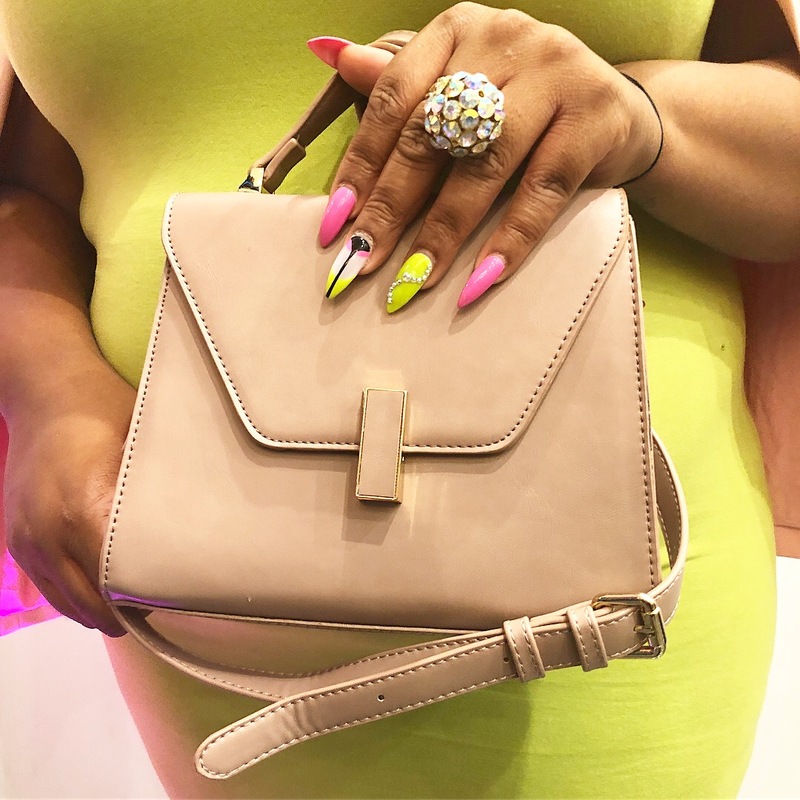 So grab your popcorn and let’s see what CurvyCon2018 was like! Did you enjoy? I hope so! Dia&Co was the sponsor again for the event, so as an employee of the company I was soo proud for another year! If you want to check out my swag bag haul and my Insta-story of Curvycon, then click here to go to my IG page and check out my highlights! 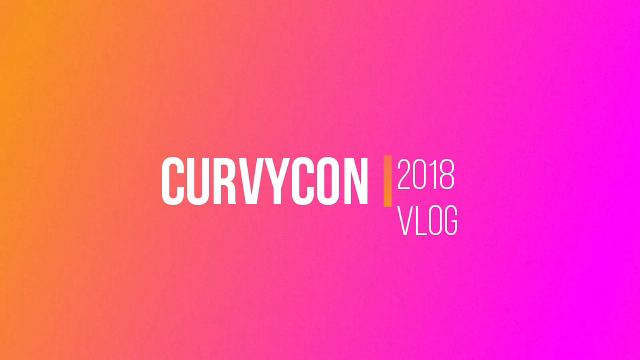 If you want to check out all my other CurvyCon videos, click here to watch the playlist. Interested in seeing all the panels and the fashion shows? Click here and scroll down to see the Yahoo Style Livestream! I didn’t do a lot of shopping at CurvyCon this year, but there were so many amazing vendors! I think I was just a bit overwhelmed by all the shopping options in once place, but next year I will be ready (lol) Here’s a list of all the vendors. 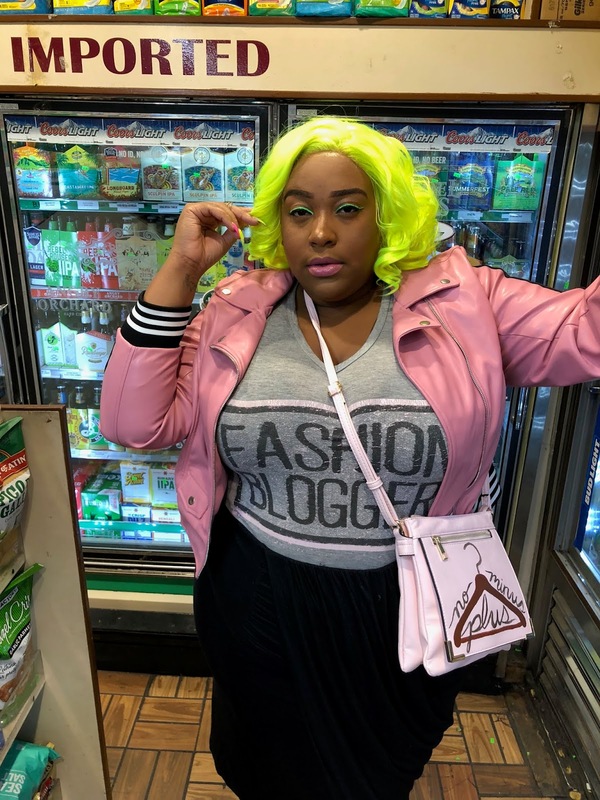 This year I wanted to definitely make a statement, so when I saw this green wig in It’s My Raye Raye’s video I just knew it would be perfect for CurvyCon. It was bold, it was a conversation starter, and I just really felt like one of a kind! 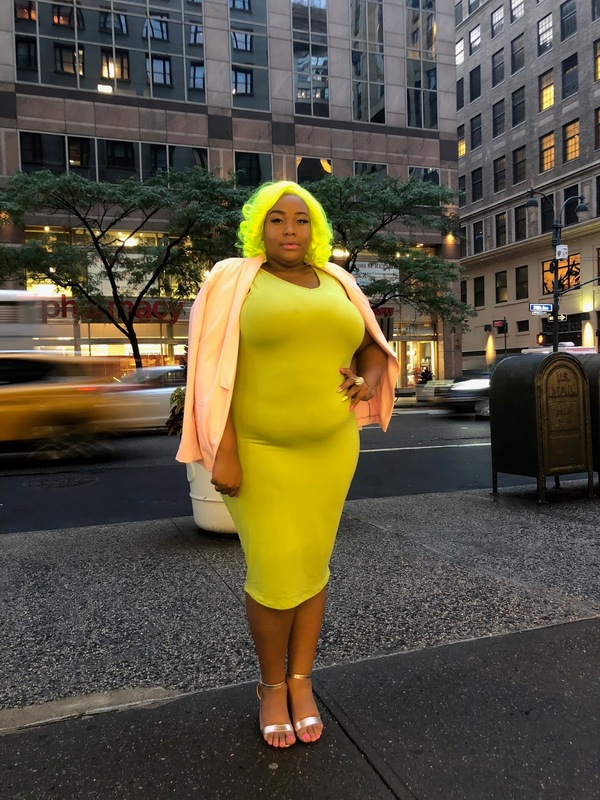 The theme for the weekend was “Cosmo and Wanda you ain’t slick” I wanted all my looks to have some type of pink and green in it, and it was so fun being creative and coming up with some bold, yet comfortable, looks. I wanted something that still was within my color scheme for the weekend, so when I saw this set from Ashley Stewart I just knew t was the one! I just want to shout out my Aunt Tracy for letting me borrow this two-piece set from her closet. It actually was the inspo for the whole color scheme, and I felt like such a fashionista in this look. I am a sucker for two-piece sets, and as soon as I got my hands on it, I just knew it would be perfect for CurvyCon. This day was more relaxed, so I wanted to be cute and comfortable. This look was my kind of casual, and I was seriously so comfortable all day long! 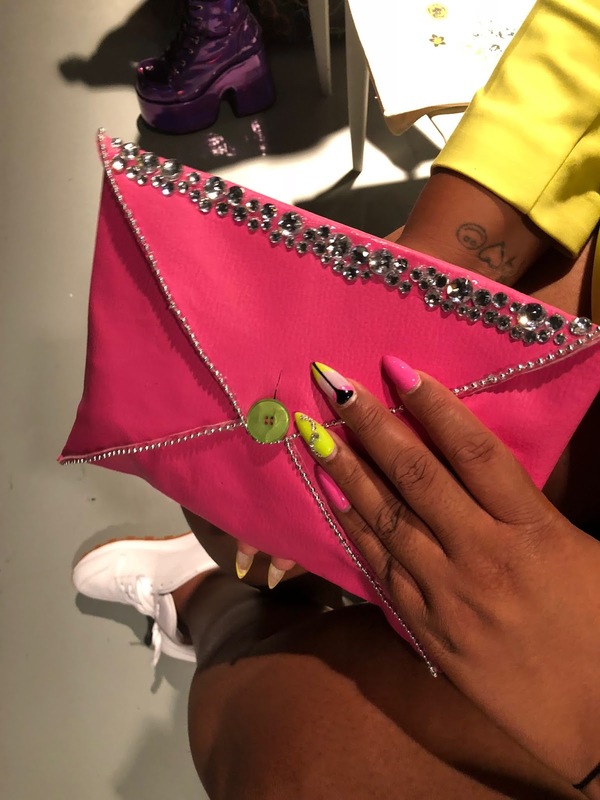 Purse: Custom made my Ashby Vose! 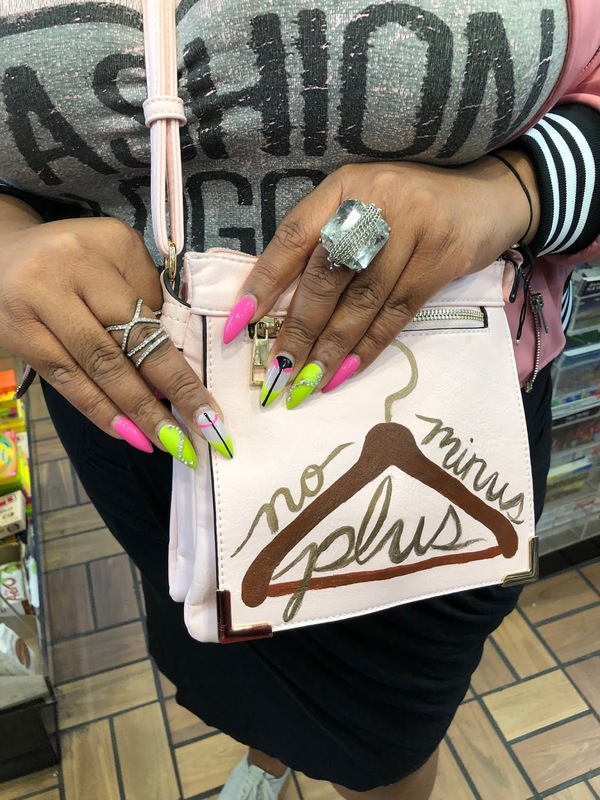 Check out her Etsy store for more of her fabulous bags! Overall my curvycon experience this year was terrific! 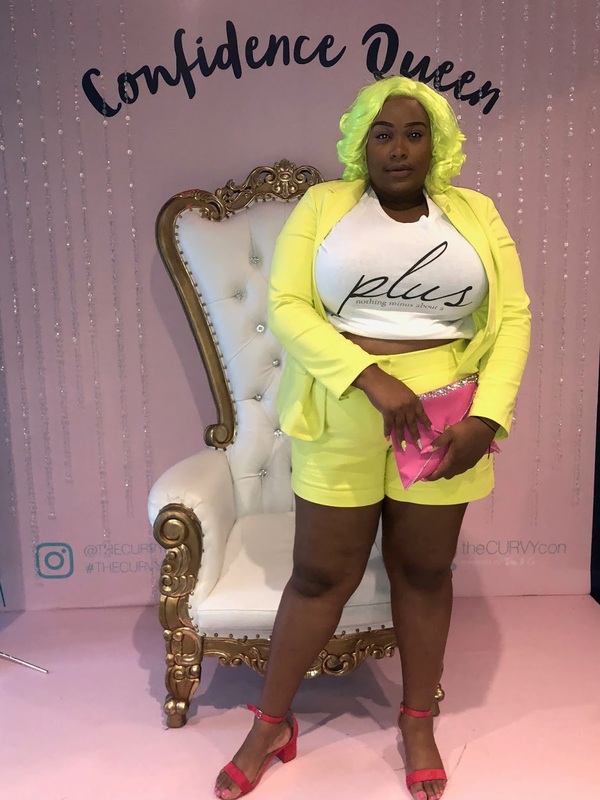 I had a great time meeting new friends, reconnecting with old friends, and I just enjoyed being at a fashion event just for gals like me during fashion week. The verdict is still out if I will attend next year since I am a CurvyCon OG, but I’m pretty sure I will still make it there in the end since I can’t ever stay away! After all, next year will be the 5th year of the event, so I can’t even imagine how big it will be! 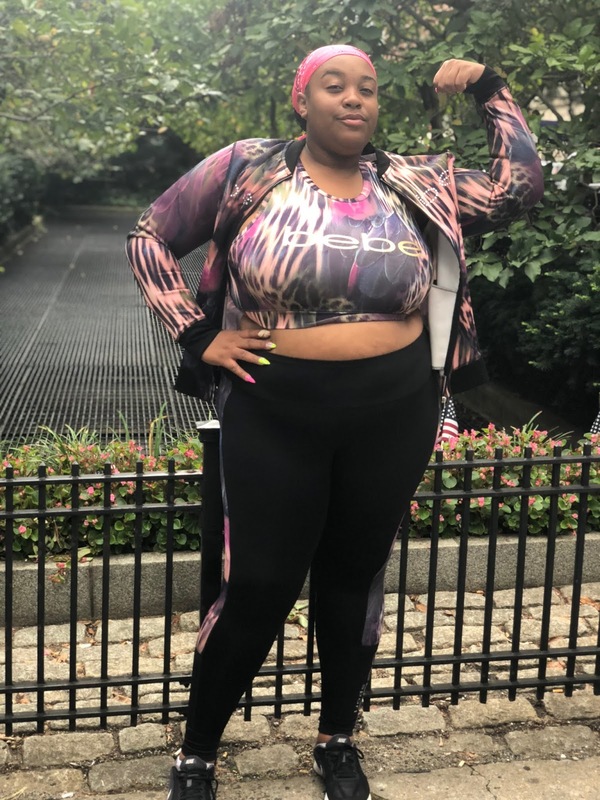 Did you go to CurvyCon this year? Leave a comment below and tell me your experience! So that wraps up another blog post here on NoMinusPlus! Be sure to follow me on all my social media especially my Instagram page. Its an extension of the blog and I am always doing fresh and fun content via my insta-stories! I love you lots like tater tots, and I will see you all next week with a new post!